Go west! Life is peaceful there! Or, at least it will be until the Pink Singers hit Bristol on 18 June 2011. We were very fortunate to host our amazingly talented and energetic friends from the West Country back in January of last year, and they are repaying us the favour by having us as guests at their own summer concert extravaganza. 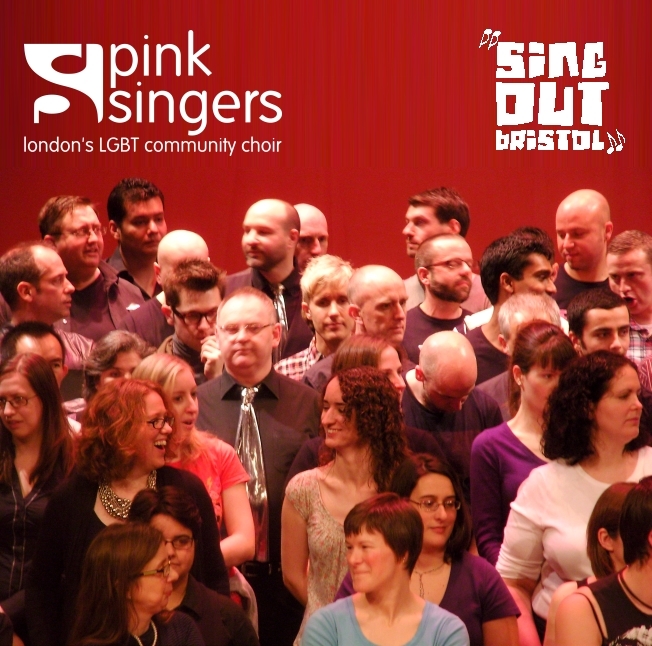 We can’t wait to see what Sing Out Bristol have in store, and if you are in the area and can’t make it to the Pink Singers’ summer concert, or have been wondering what all the fuss is about, then this is your chance to support one of Europe’s youngest LGBT choirs and see them perform with Europe’s oldest. Tickets are available via the Sing Out Bristol website. Next Next post: Iconic gay and lesbian songs – our choice!